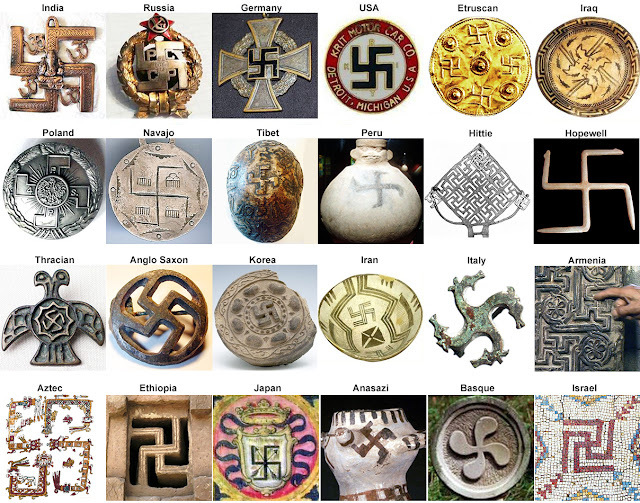 ATLANTEAN GARDENS: Where Did Blue Eyes Originate From? When we look to ancient Egypt, arguably one of the world's oldest known civilizations, we find many blonde and fair-haired mummies. Since WW2, western academia backed and lobbied by politically motivated forces at the United Nations has pushed for a Marxist inspired multicultural view of history, which has ignored archeological evidence in favor of political correctness. However well intentioned, this false perspective has cast much confusion over human origins: Who we are and how we came to be. Another one of the oldest documented civilizations, credited with having the first writing, schools, courts, and many other "firsts" were the ancient Sumerians of Mesopotamia. 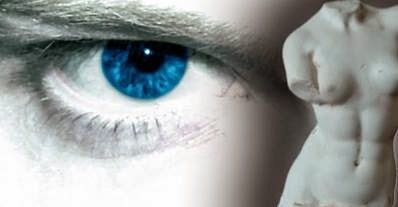 The ancient Sumerians thought that blue eyes were a sign of the gods. The Sumerian nobility were blue eyed and fair haired, as most of their busts show. Archeologists working at Peru's Huaca Pucllana ruins recently pulled a blue-eyed mummy from an ancient tomb thought to be from the ancient Wari culture that flourished before the Incas. Piercing blue eyes undimmed by the passing of 1,300 years, this is the "Lady of the Mask" – a mummy with striking blue eyes, whose discovery could reveal the secrets of a lost culture at the Huaca Pucllana Pyramid located in Lima, Peru. It is the first time a tomb from the region’s Wari culture has been discovered intact and gives historians the chance to learn about the ancient pre-Incan civilizations. Scientists stress that the genetic variation, as the press release puts it, is "neither a positive nor a negative" trait. 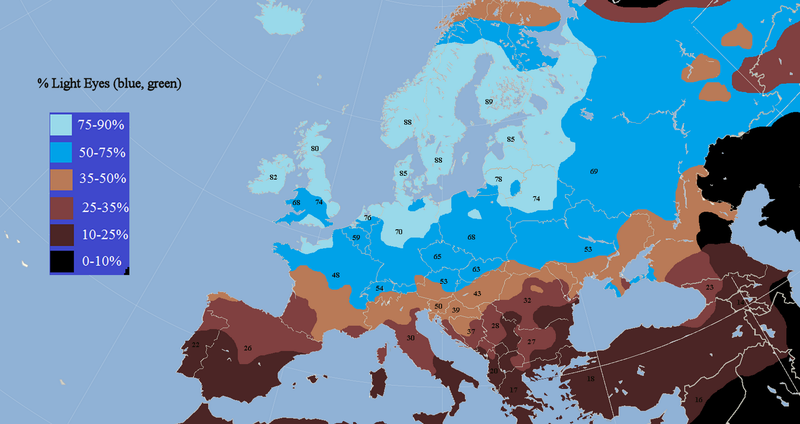 That's a bit disingenuous, as the mutation also produces greater instance of blond hair (sexually selected for even today) and fair skin, which confers a survival advantage by stimulating greater production of vitamin D in sun-starved northern European countries near the arctic circle - where blue eyes are still most prevalent. I have read this with great curiosity ..where the hell do I originate from?? a blue eyed red head..would love the to hear your theories. how about red hair people? round or broad heads, broad shoulders and broad hips. 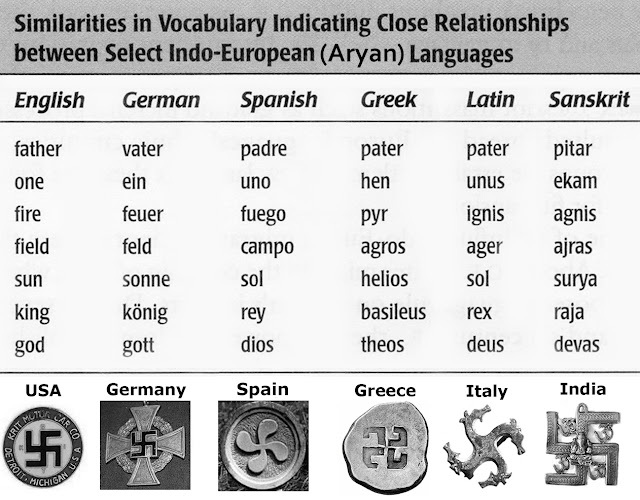 You can find this by the Baque people in Nothern Spain and Southern France, in Ireland and SCotland and Wales and Cornwall, in Britanny or Bretagne in France, in German WEstphalia and also in parts of Eurasia and Morocco whereever Megalithic Culture and Megaliths were. This Cro Magnon workshipped the three faced mother goddess or great Earth Mother. The Cro Magnon also were called Faelic people (Wesphalia and Bretagne), Iberomaurusians (Morocco), Early Proto Basques and Megalithic Culture. They were the first settlers on the British Isles during and after the Ice Age. The Basques and Irish still represent this Anthropologic type of first European, North African and Middle East people after the Neanderthals and beside the Xhosa (a Black people with non negrid faces). In Spain they found a blue Eyed Cro Magnon with black hair and dark skin. What about blonde/red hair and grey eyes? Where do they fit in? I have dark blue eyes and Auburn. I believe that Hazel eyes result from a mixed ancestry. No it says both parents must have the blue eyrd genes. My son has blonde hair, blue eyes but neither me nor my husband have blonde hair or blue eyes. My dad has blonde hair blue eyes and fair skin so we figure that's where he gets it from. My husbands mom also had blue eyes. So there is a blue eyed gene on both sides. In order for a child be born with blue eyes, both parents must carry to blue eye gene. Does not mean the parents themselves have to have blue eyes. The child must have a grandparent on both sides to have boue eye. My Grandpa was Cherokee he had dark hair and brown eyes my Grandma had green eyes and was scottish how did my Mom get blue eyes? After the last Ice Age, ice melted off Northern-Europe before melting off the mountain tops in Southern-Europe; the Pyrenees, Alps, Carpathians, Caucasus, and Urals, all remained topped-off and thus blocking access to Northern-Europe by the remaining glaciers - nobody was living in Northern-Europe then. 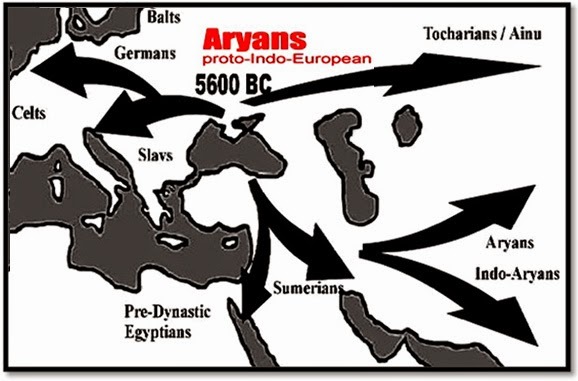 How did these blue-eyed people suddenly show up in Northern-Europe, when they never existed in 100s of 1000s of years anywhere before then on earth? They either were not from this earth, aliens, or, were genetically engineered by aliens (perhaps God) and specifically engineered to be different than other humans - for obvious reasons. Yes, near the Black Sea, on the Northern Side of the Caucuses, in Caucasia. I'm brown eyed male what are the origins for us men and women likeness? The Cro-Magnons happened to survive the end of ice-age north of the ice-covered Alps and Pyrrenees - due to the open lands around the steady passage of the Gulfstream. At that time the warm water of that "ocean-river" (Ptolemy) would pass across todays Frisland and Slesia - connecting the English Channel to the Baltic Ocean. After the last warm-periods (Billeroed and Alleroed) the glaciers of the Scandinavian mountain-ridge collapsed, sending ice-lobes into the North Sea, to drift ashore of Frisland, Slesia and western Jutland where it melted down and left thousands of tons of Scandinavian stones, sand and silt. As the ice disappeared and the land rose todays landmass along Europes northern west-coast (northern Holland, northwest Germany and westcoast Denmark) would appear. During this crucial time of change - as the Eurasian ice-time ended - the Cro-Magnons managed to survive in the proximity of the Gulf-stream as it crossed south of todays Jutland (Denmark). Consequently we can trace the Cro-magnons occupying the old coast-lines of NW Germany and the large isles to the north and west - as todays Denmak. In modern archaeology these ice-time survivors are identified as the cultures of "Ahrensburg" and "Bromme-Lyngby" and it's today proven that theese very small groups of people indeed did survive the worst periods of the entire ice-time - around the straigths between the North Sea and the Western Baltics. 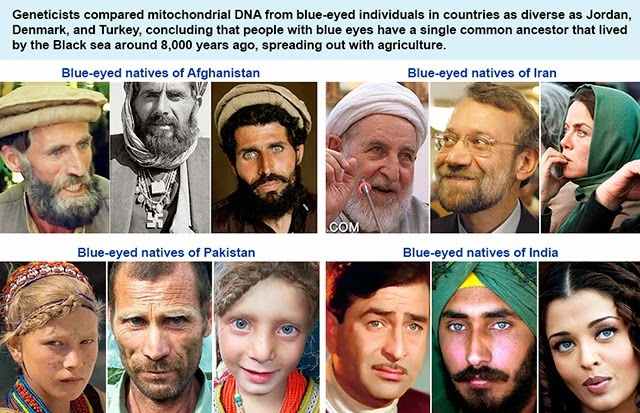 and I'm one of those :-) blue eyes , red hair 9at least when i was younger..hihi) and had my DNA checked, my ancestors lived 18.000 years ago at black sea, 3500BCE Viking so connected to Ukraine more ways..